100 Pre-cut wine cork halves. Perfect for arts and crafts, wedding decor, and other projects! You will receive 100 recycled wine cork halves! All wine cork halves are 100% natural, no synthetics, no champagne! 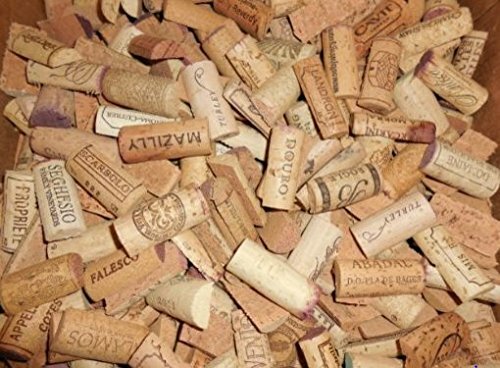 All 100 wine cork halves (50 wine corks cut in halve) are hand cut. Some wine cork halves will have red and white wine stains which really adds to their character!. All wine cork halves are hand sorted to ensure good variety. If you have any questions about this product by Sendit, contact us by completing and submitting the form below. If you are looking for a specif part number, please include it with your message.